My first camping experience was about 25 years ago. Hubby and I purchased a large tent, packed everything in our mini van and headed to the Washington coast to meet up with a group of friends. 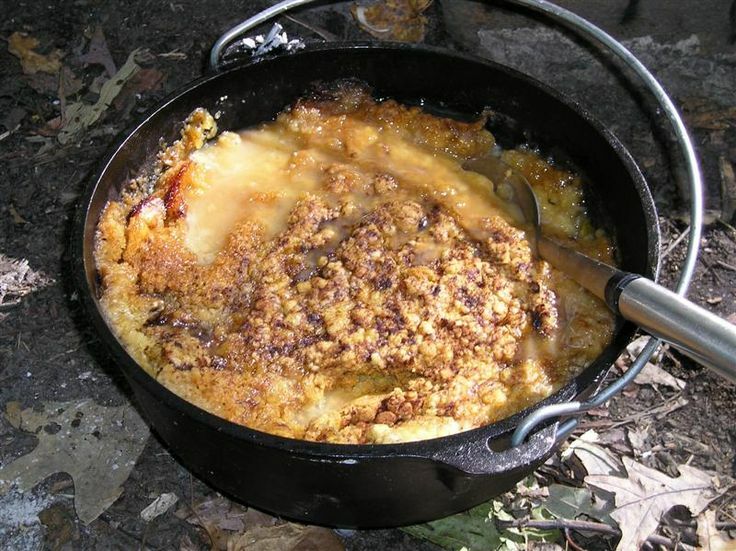 I have a lot of fond memories from that trip and for some reason, the one thing that stands out more than the others, is the big pot of stew that one of our fellow campers cooked in a cast iron Dutch oven over our campfire. There have been many times over the years that I’ve thought of that camping trip, the fire, and that wonderful stew and as I’ve thought about our future adventures in camping, I’ve become more and more obsessed about learning the art of Dutch oven cooking. I’ve even begun to make my list of the cast iron Dutch ovens and supplies I want to purchase. I dream of creating wonderful campfire meals for my family. Like lasagna. Maybe a peach cobbler for dessert. A breakfast casserole to start out our day. Ending the day with a yummy chicken and dumplings. The meals I will be able to prepare for my family are endless – chili, stew, cinnamon rolls, chicken and vegetables, pot pie, monkey bread, sausage and potatoes . . . . . . . In some ways, spending more time outdoors and enjoying nature while cooking over an open fire will give us a small, yet delicious taste of that homesteading lifestyle we have dreamed of living.